The Lady Dorma is dead, and the Sub-Mariner is on a rampage that will leave a swath of destruction across the surface world! But in his pursuit of vengeance, Namor learns that his father - the long-thought-dead Capt. Leonard MacKenzie - is still alive! In the quest to find his father, Namor will cross paths with Spider-Man, Daredevil and the Human Torch before he faces a gathering of his greatest enemies - Llyra, Tiger Shark and Sting-Ray - while his father's life hangs in the balance! If that's not enough, three of the Marvel Universe's fiercest personalities - Namor, Dr. Doom and M.O.D.O.K. - battle each other for the Cosmic Cube! With art by the great Gene Colan, need we say more? Reserve your copy today! 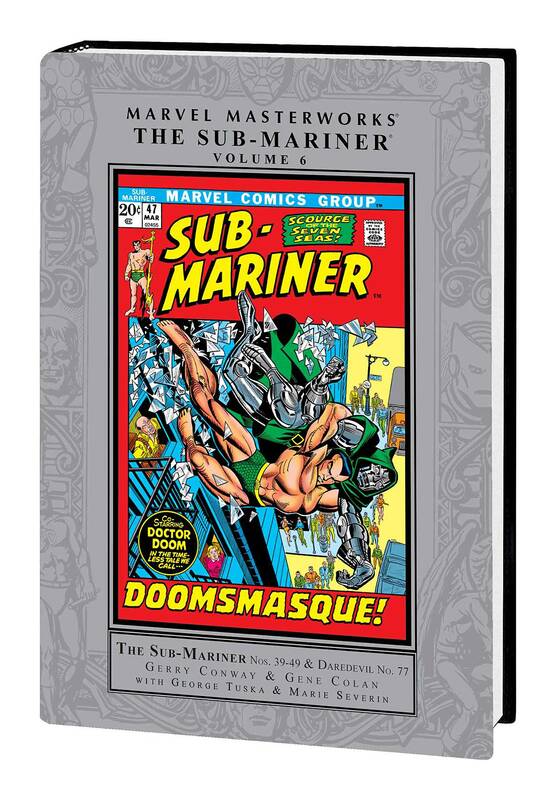 Collecting SUB-MARINER (1968) #39-49 and DAREDEVIL (1964) #77.